I’m excited to be offering a new Autumn Immersion Series – starting Sunday 5 May 2019. We’ll be practising surrounded by Nature, at my home in Brookfield. I’d love you to join me! Depending on your commitments, you can choose to attend the Morning Immersion (a series of 3 x half days) or stay for the Full Immersion (3 x full days). Details below. I’ve created this Immersion Series for curious Yogins with an adventurous spirit, who would like to dive deeper. 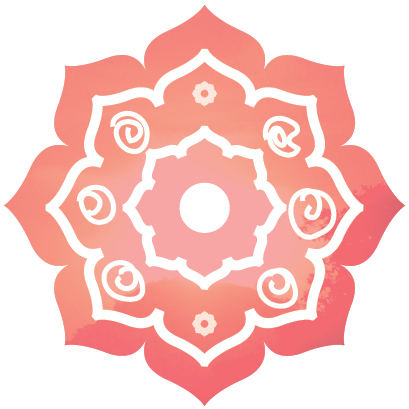 I’m passionate about helping you explore the subtle dimensions of your Practice – and to (re)awaken a deeper connection with your own authentic Sadhana – in ways that are openhearted, spacious, fresh and alive! EXPERIENCE + SUITABILITY – This Immersion Series is best suited to students with at least 1 year of consistent Yoga practice, who have studied or practised with Mardi. If you have any questions about whether this Immersion is for you right now, I’m happy to chat:) If you haven’t practised with Mardi before, and you’re keen to attend, please still get in touch! Open to all committed students who are dedicated to their own inner journey and inspired by the art of Living Yoga. The group will be kept small, to ensure everyone receives personal attention and guidance. In the spirit and tradition of Yoga, we’ll explore the subtle, embodied wisdom of Asana, Prana (Vital Life Energy), Meditation, Breath, Mindfulness, Mantra, Yogic and Eastern Wisdom Teachings, gentle Self Inquiry and Silence. LUNCH – Self catered. All welcome to stay and share in the spirit of Sangha (community). Tea and fruit will be available throughout the day. Mardi will be available after lunch for a short 1-1 chat, if there’s anything arising in your own Practice / exploration / life you’d like to discuss. The day will finish with us gathering back together for a short closing practice (which may be afternoon Pranayama / Embodied Meditation / Chanting / Mantra). Practising Yoga surrounded by Nature is a powerful and nourishing way to reconnect with What Is… Joyfully grounded in the Aliveness! The Autumn Immersion will be held at my home in Brookfield. (I live approximately 35 minutes drive from Kelvin Grove). Full address details etc will be provided upon registration. NB. This is the minimum requirement for attendance, so that we can create momentum for ourselves, and together as a core group over time. If you’re planning to choose the Full Day Immersion, please let Mardi know in advance. This will be very helpful for planning. Thank you! REGISTER HERE to reserve your place! OR – Feel free to contact Mardi on 0409 660 531 (or via email) with any questions you may have.